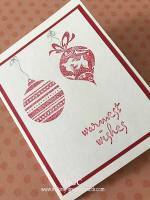 Great Christmas quotes to add to your handmade Christmas cards. I love collecting quotations from famous people and have compiled a whole book on all kinds of quotations. So I thought that you might like to add some of these meaningful and encouraging quotes by famous people to your homemade Christmas cards. 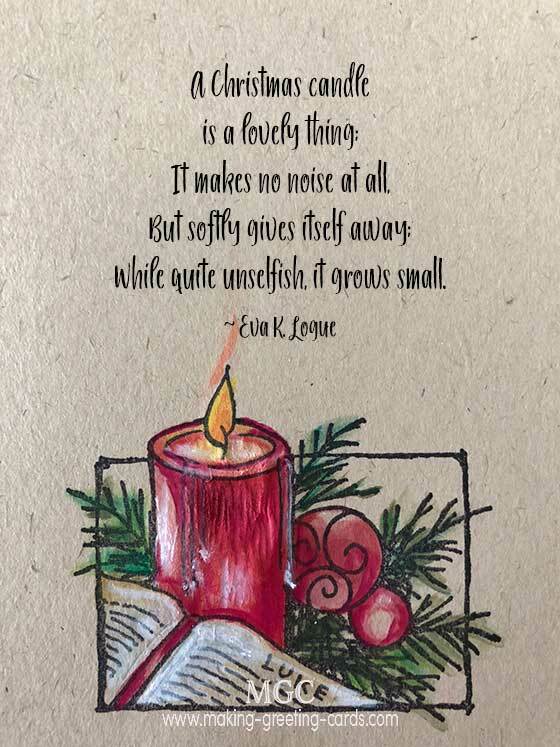 I usually print inspiring Christmas quotations or card verses out on card-stocks, trim around them and layer them onto card blank front. 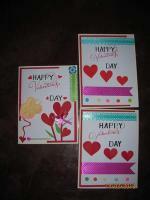 Add a punch flower or two or some other embellishments and my cards are done. Health, Peace, and sweet content be yours. Teach us to be patient and always to be kind. When we live Christmas every day. The very word brings joy to our hearts. the same warmth that enfolds our hearts and our homes. that wrapped itself about you like a shawl. But it warmed more than your body. A Saviour, which is Christ the Lord. brings us closer to each other. We'll keep our Christmas merry still. but a state of mind. is to have the real spirit of Christmas. While quite unselfish, it grows small. the genial flame of charity in the heart. keeping watch of their flocks at night. But the angel said to them, "Do not be afraid. I bring you good news of great joy that will for all the people. he is Christ the Lord. the presence of a happy family all wrapped up in each other. in a conspiracy of love! That love weighs more than gold! Earth to Heaven, stoops Heaven to Earth. But at Christmas it always is young. Ye that sang, "Peace on earth"? "I will hold Christmas in my heart, and try to keep it all the year." And for goodwill to men!" Christmas day is a day of joy and charity. May God make you very rich in both. Christmas is not a time nor a season, but a state of mind. Christmas is not in tinsel and lights and outward show. The secret lies in an inner glow. It's lighting a fire inside the heart. Good will and joy a vital part. It's higher thought and a greater plan. It's glorious dream in the soul of man. The word repeat of peace on earth, good-will to men! The miracle of Christmastime that brings God close to you. Stars and angels gave the sign. "A merry Christmas to everybody! A happy New Year to all the world!" The more of your heart's possessing returns to make you glad. And praise to God on high. His glory and his love. and loves we used to know. will never find Christmas under a tree. To crown us with the joy of heaven. Need Christian Christmas greetings! Click here to view the Christian Christmas Card Greetings. Need Business Christmas verses! 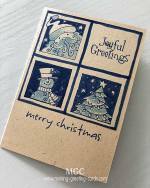 Click here to view some Business Christmas Cards Verses for your Business Holidays Greetings. And for all other Christmas verses, just click here to get some. Click to view the second page of Christmas verses. Christian Christmas quotations and scripture verses at my personal Christian website. Add your favourite Christmas quotes here. Contact me with your Christmas quotes, Christmas Cards verses, or sayings and I will add them to the relevant pages. 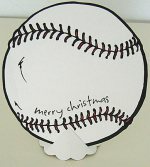 ~ bringing cheer one card at a time.